Showtime Networks Inc. has announced that Stephen Espinoza has been promoted to President, Sports and Event Programming, where he will continue to develop and execute the overall strategy of the group. The announcement was made today by David Nevins, President and CEO, Showtime Networks Inc., to whom Espinoza reports. Under Espinoza’s leadership, SHOWTIME has become the world’s leading outlet for live boxing. In 2017, SHOWTIME Sports produced 33 world championship fights and 71 live bouts in all – twice as many as any other outlet. SHOWTIME CHAMPIONSHIP BOXING® has a television lineup for the first six months of 2018 that will be the largest ever in the sport, with 10 world-class events including 12 world title fights. SHOWTIME can also lay claim to the two most watched pay-per-view events in history with Mayweather-Pacquiao (May 2015) and Mayweather-McGregor (August 2017), as well as the three most lucrative with Mayweather-Canelo (September 2013), each bout produced during Espinoza’s tenure. He also helped orchestrate one of the biggest deals in boxing history when Floyd Mayweather moved to SHOWTIME in 2013 under a landmark six-fight deal. Across seven events with Mayweather, SHOWTIME PPV generated more than 14 million domestic buys (U.S. and Canada) and over $1.2 billion in domestic pay-per-view revenue during a span of just four years. 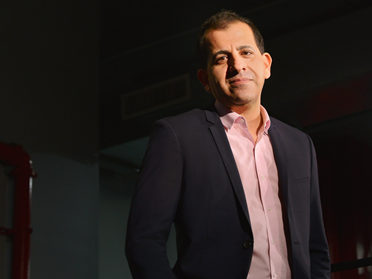 As head of SHOWTIME Sports, Espinoza is responsible for managing the day-to-day activities of the sports and event group, including its pay-per-view unit. Based in Showtime Networks’ New York offices, Espinoza oversees the production of the network’s original sports series and sports documentaries, as well as the acquisition and licensing of all other SHOWTIME and pay-per-view sports and event programming. The network’s hard-hitting sports content includes SHOWTIME CHAMPIONSHIP BOXING, SHOBOX: THE NEW GENERATION, ALL ACCESS, A SEASON WITH (featuring college football programs from Notre Dame, Florida State and the United States Naval Academy at Annapolis), ALL ACCESS: QUEST FOR THE STANLEY CUP and the Emmy® Award-winning INSIDE THE NFL, as well as an enviable slate of documentaries including IVERSON, KOBE BRYANT’S MUSE, ONE & DONE and DISGRACED. Prior to joining SHOWTIME in late 2011, Espinoza was a partner in the firm of Ziffren Brittenham LLP. At the firm, he specialized in representing athletes and sports personalities, including professional boxers Oscar De La Hoya and Mike Tyson, who generated a total of over $500 million in pay-per-view revenues under his representation. Espinoza served as lead counsel for De La Hoya’s Golden Boy Promotions dating back to the formation of the company. Through his representation of Tyson, De La Hoya and Golden Boy Promotions and his subsequent work at SHOWTIME, Espinoza has been directly involved in the five highest-grossing pay-per-view events of all time (including De La Hoya-Mayweather and Tyson-Lewis, as De La Hoya/Golden Boy’s lawyer and Tyson’s lawyer, respectively). Other notable former sports clients include former NFL star and current broadcaster Michael Strahan and mixed martial arts fighter and actress Gina Carano. Espinoza also represented a variety of established and emerging performers and filmmakers across the film and television industries. Espinoza previously worked at the Law Offices of Steinberg & Moorad, one of the nation’s preeminent sports law firms. Espinoza earned a B.A. in Communication from Stanford University and received his J.D. from UCLA School of Law. Showtime Networks Inc. (SNI), a wholly owned subsidiary of CBS Corporation, owns and operates the premium television networks SHOWTIME®, THE MOVIE CHANNEL™ and FLIX®, and also offers SHOWTIME ON DEMAND®, THE MOVIE CHANNEL™ ON DEMAND and FLIX ON DEMAND®, and the network’s authentication service SHOWTIME ANYTIME®. Showtime Digital Inc., a wholly-owned subsidiary of SNI, operates the stand-alone streaming service SHOWTIME®. SHOWTIME is currently available to subscribers via cable, DBS and telco providers, and as a stand-alone streaming service through Apple®, Roku®, Amazon, Google, Xbox One and Samsung. Consumers can also subscribe to SHOWTIME via Hulu, YouTube TV, Sling TV, DirecTV Now, Sony PlayStation® Vue and Amazon Channels. SNI also manages Smithsonian Networks™, a joint venture between SNI and the Smithsonian Institution, which offers Smithsonian Channel™, and offers Smithsonian Earth™ through SN Digital LLC. SNI markets and distributes sports and entertainment events for exhibition to subscribers on a pay-per-view basis through SHOWTIME PPV. For more information, go to www.SHO.com.